I got this recipe from a teacher friend of mine several years ago. It is still my favorite! 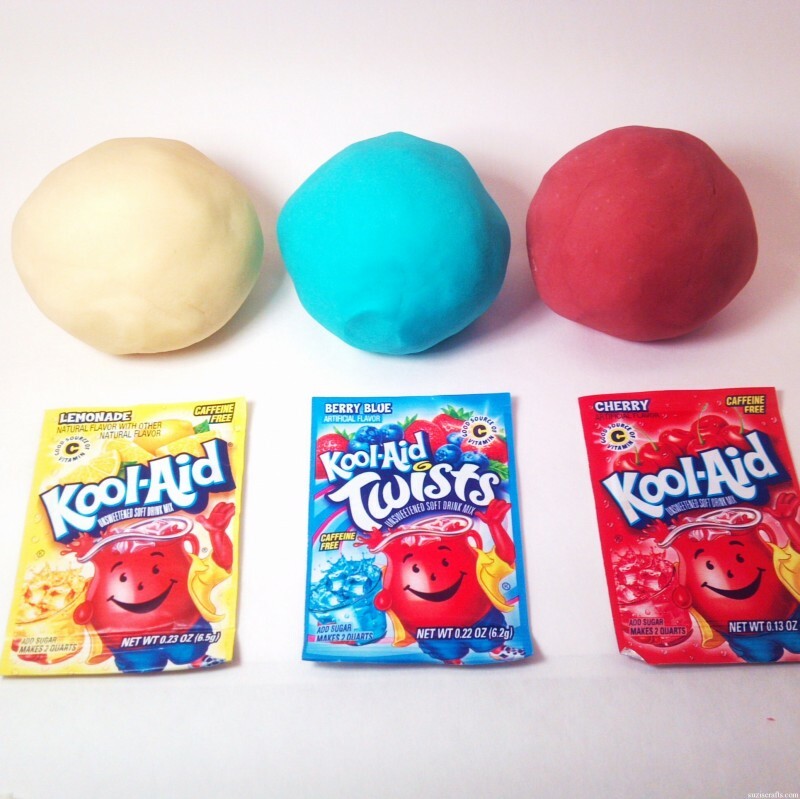 It has an amazing consistency, fun smell, and lasts for ever (we refrigerate it in a ziplock) Over the years I have made just about every “flavor/color” of play dough. I try to base my color choice around what is happening that time of year. Green for St. Patrick’s Day, Red for the 4th of July, etc.. In a large bowl add all dry ingredients and mix well (salt, flour, cream of tartar, Kool-Aid). Add the oil and boiling water to the mixture and mix this with a large spoon until it becomes very firm. It should be cool enough to handle after a few minutes of stirring. Lay out some wax paper and flour for the last step. Use your hands and roll it in some more flour if it feels too sticky.